Posted January 11th, 2013 by Jan Meissner & filed under Featured. 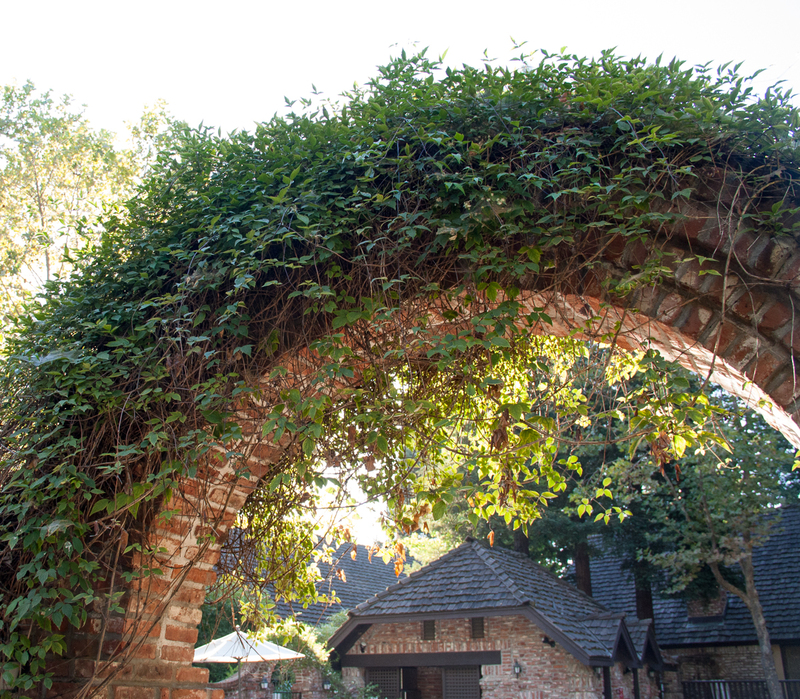 On our trip to wine country, my husband took me to Harvest Inn – 8 acres of gardens in the middle of wine country. That’s the equivalent of bringing a dog to a dog park where they throw steak bones instead of frisbees. Happy overload. Brandon Augustine, who is the Landscaping Director, gave me a tour. I was the sole garden geek to sign up for the tour that day so I was with him all morning. 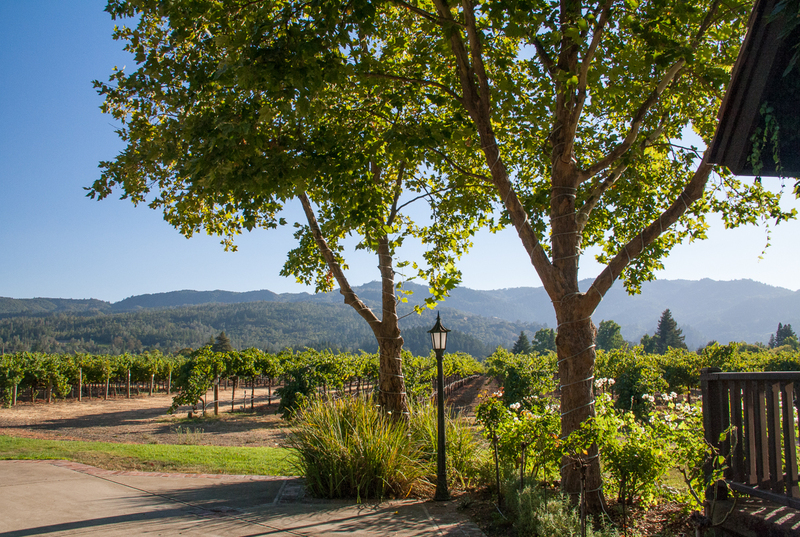 The tour ended only after my husband tracked me down and suggested it was time to go taste some wine. So I had to leave my personal tour of paradise to go sample the Nectar of the Gods. Tough gig. Besides being extremely sharp horticulturally, Brandon understands the art of plants. He carries himself with the serenity of a man who works in paradise full time. Of course he has limited budgets and limited man hours, but really, what gardener doesn’t? It’s magical here because he makes it so. 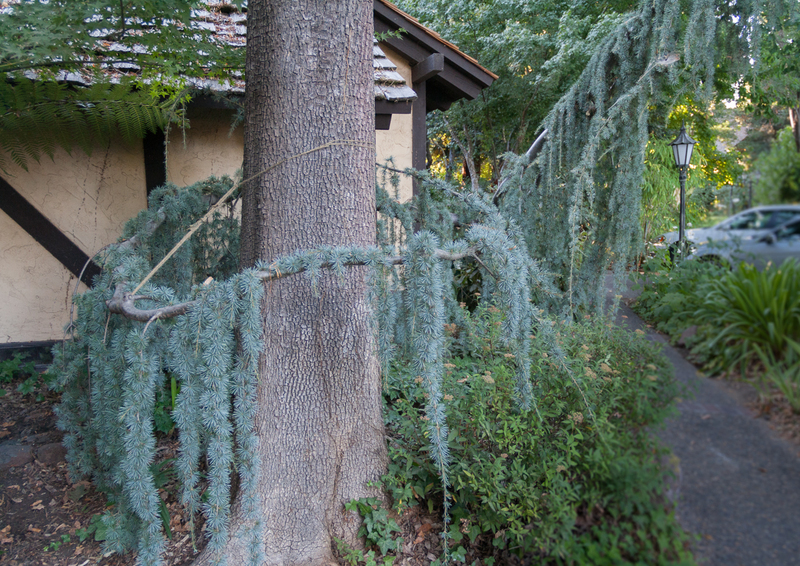 Outside our room he trained a Weeping Blue Atlas Cedar to arch over the walkway and hug another tree. That’s art. 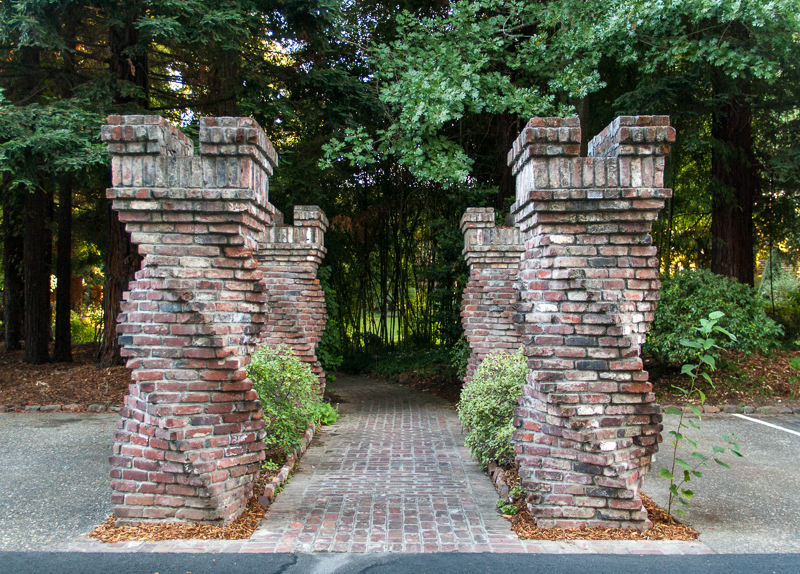 The reception area is nestled in redwoods groves. When the owner/investor was expanding the property to accomadate more rooms it meant a large grove of redwoods had to be leveled. Arriving to work and hearing buzz saws, Brandon did what any great Landscape Director would do. He directed them to stop. 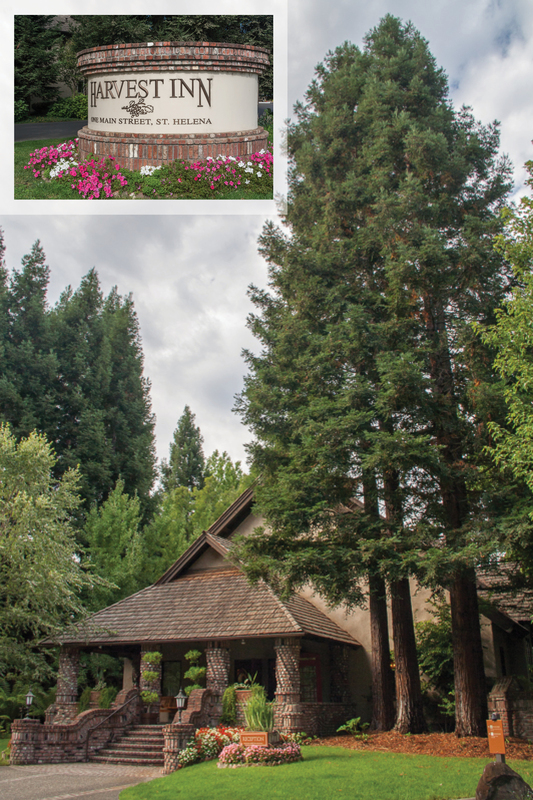 He moved as many redwoods as possible to the outer edge of the property where they now completely hide a parking lot. Great vision. Great patience by the owner. 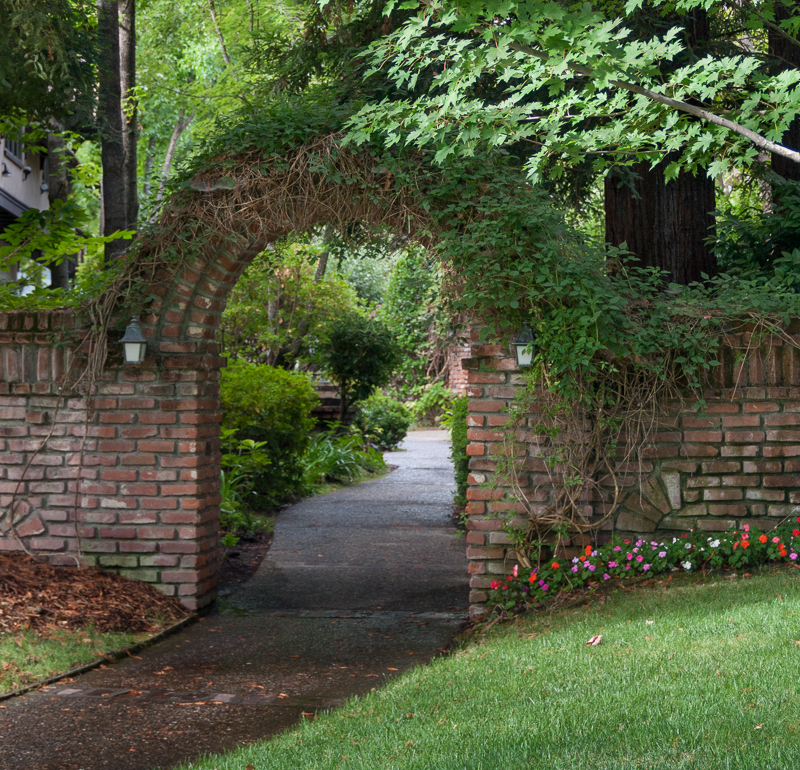 The redwoods are the soul of this garden. A Fed Ex trucked wiped out the wooden canopy overhang that once rested above these beautiful columns. 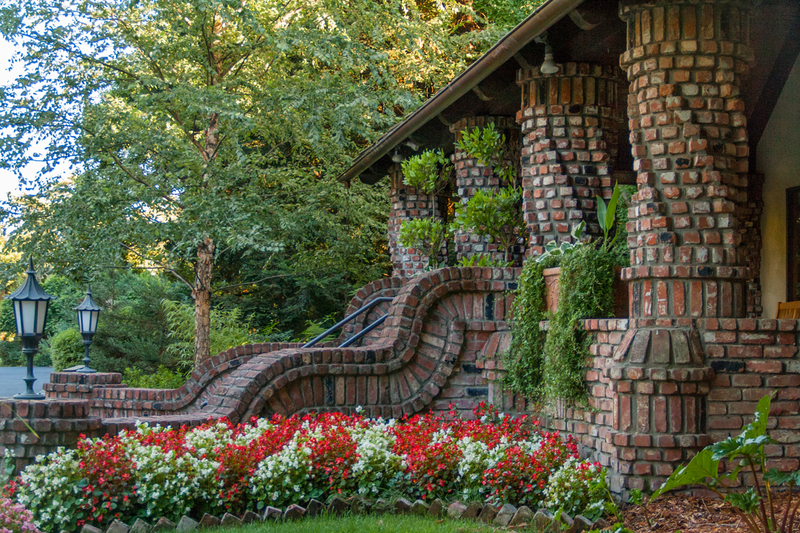 I don’t know if there is a Brick Masons’ Hall of Fame, but surely the mason who created this property is in it. If he’s not, it’s only because he’s on steroids and the mason judges thought he was cheating. 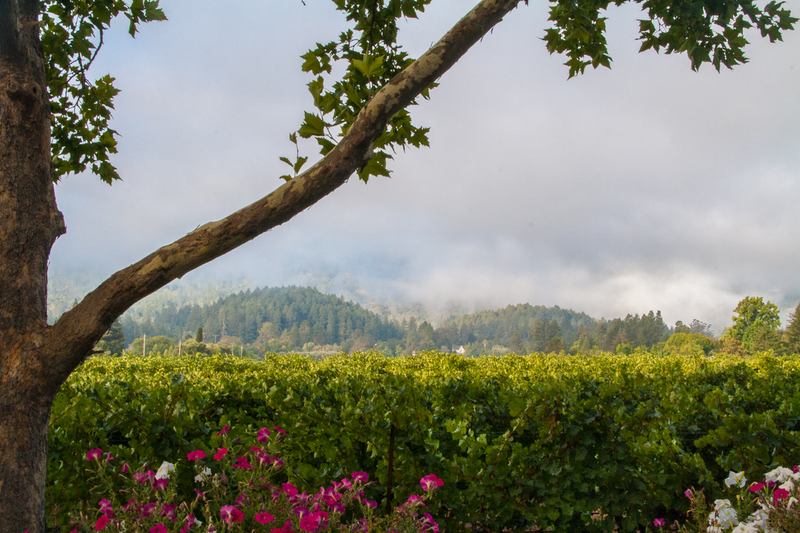 Views of the Mayacamas Mountains at breakfast. 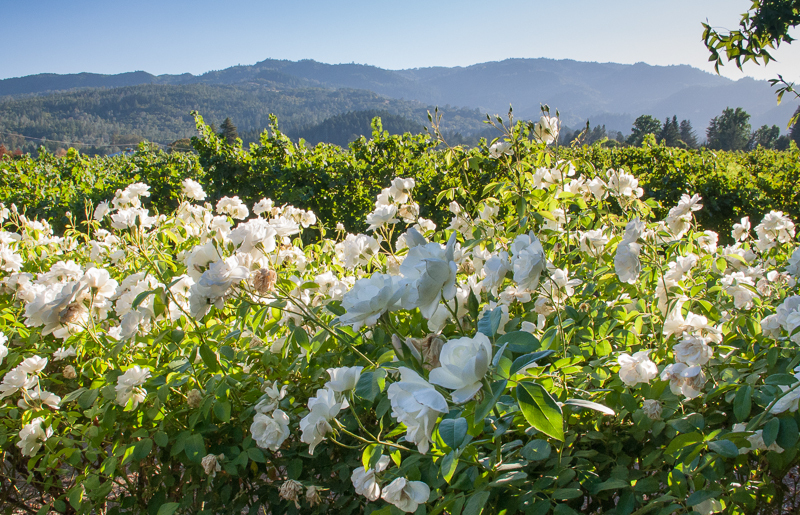 Long rows of white shrub roses separate the property from the vineyard. As we toured, Brandon would snip roses along the way and I couldn’t keep my nose out of them. 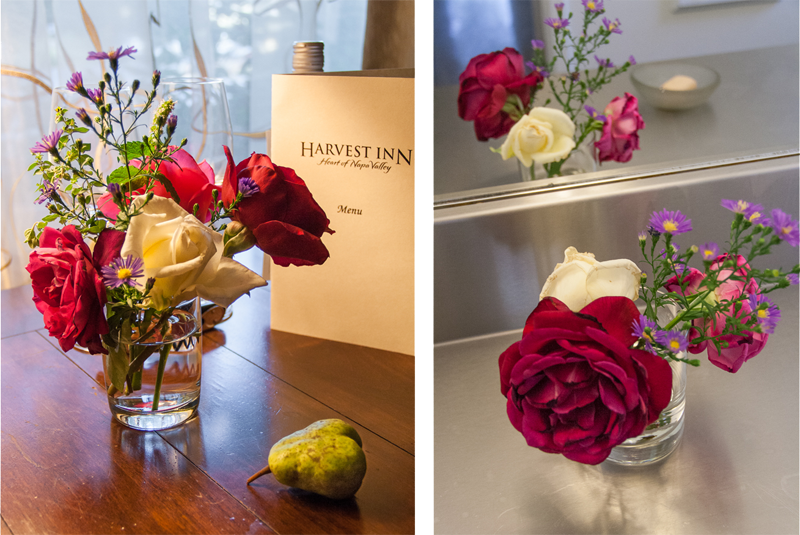 The scent was so beautiful I kept the little bouquet in the drinking glass at each hotel we stayed. I love your tour! Thanks for sharing such beautiful views. Next time if you need someone to carry bags please count me in! I’m going back to Harvest Inn in May Daniela. Come along! What a beautiful place! 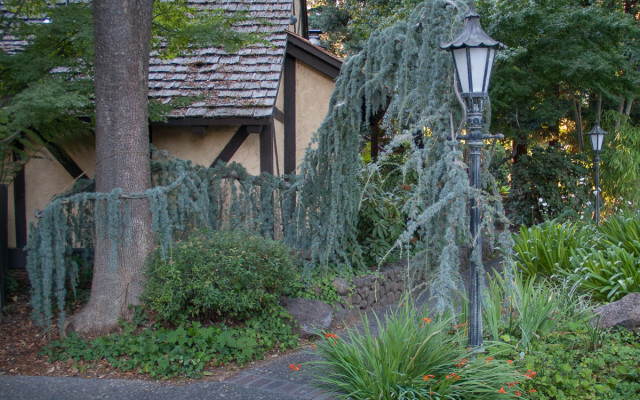 I left Northern California thirteen years ago and while I made many trips to the wine country, I never discovered this Inn. Thanks for the tour. By the way, Jeni and I are having a good time creating your totem.